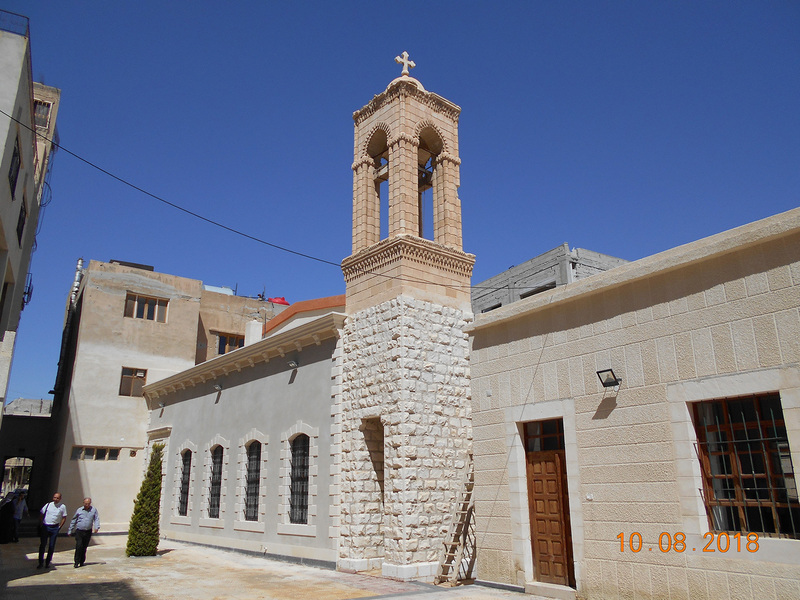 On Friday, 10 August, 2018 the NESSL church sanctuary in Nabek-Qalamoun, Syria, was dedicated in the presence of NESSL officers and pastors. 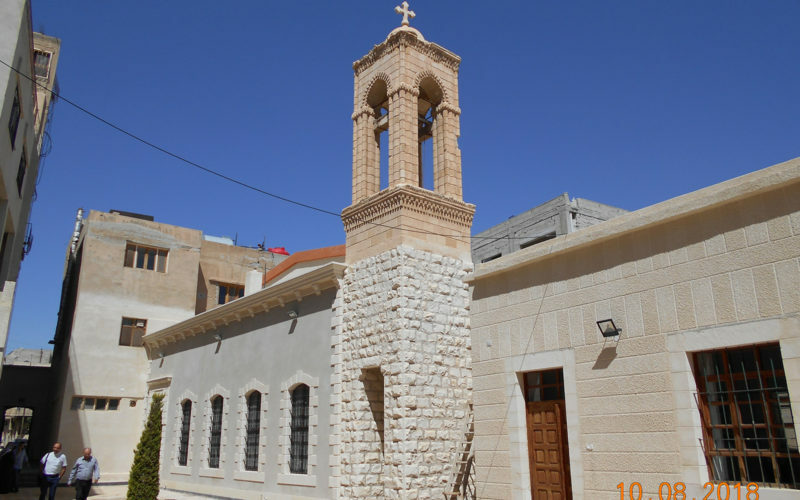 The Church was damaged due to the attacks and shelling was done by the terrorists during the Syrian crisis years ago. The rebuilding of the Nabek Church was realized by the support of Gustaf-Adolf Werk, a Christian Evangelical German organization that is committed to helping Christians around the World to remain in their countries. 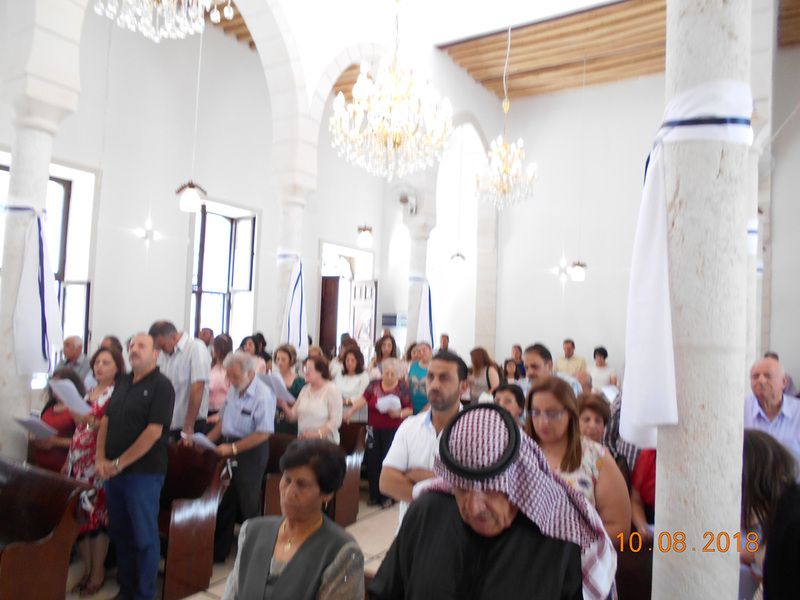 The worship service was attended by Rev. 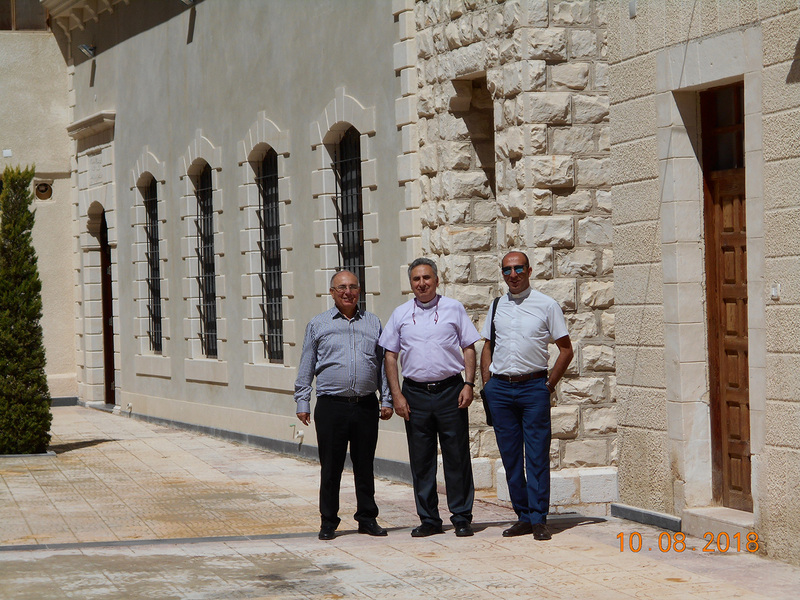 Joseph Kassab (NESSL General Secretary), Rev. 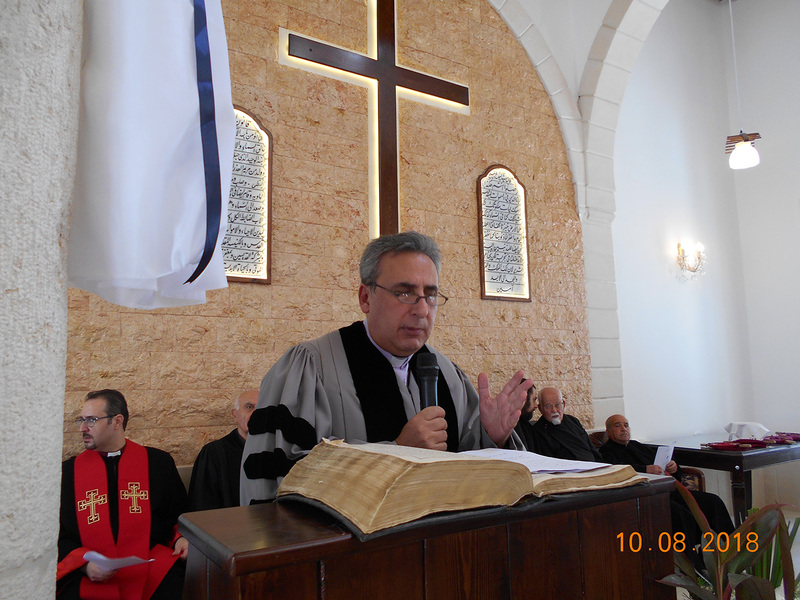 Boutros Zaour (NESSL Moderator), Rev. 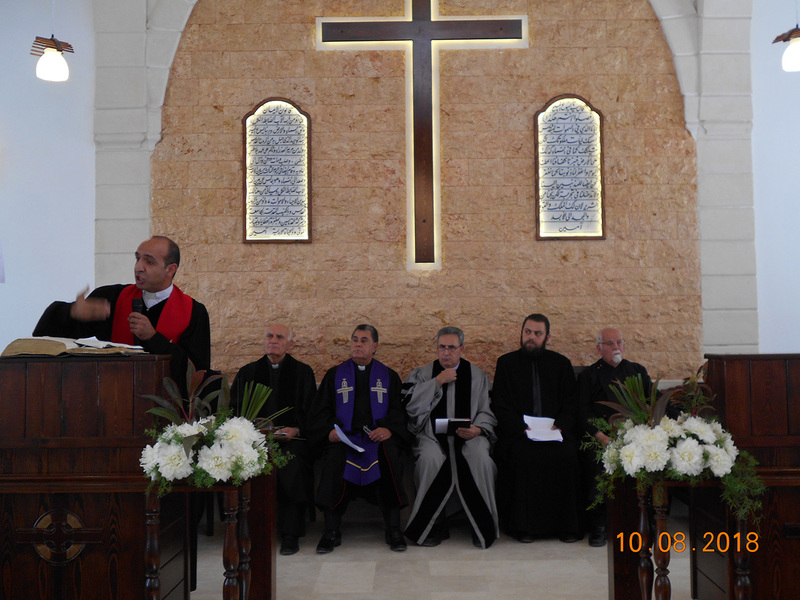 Hadi Ghantous (Executive of Ecclesial and Spiritual Affairs Committee), Rev. 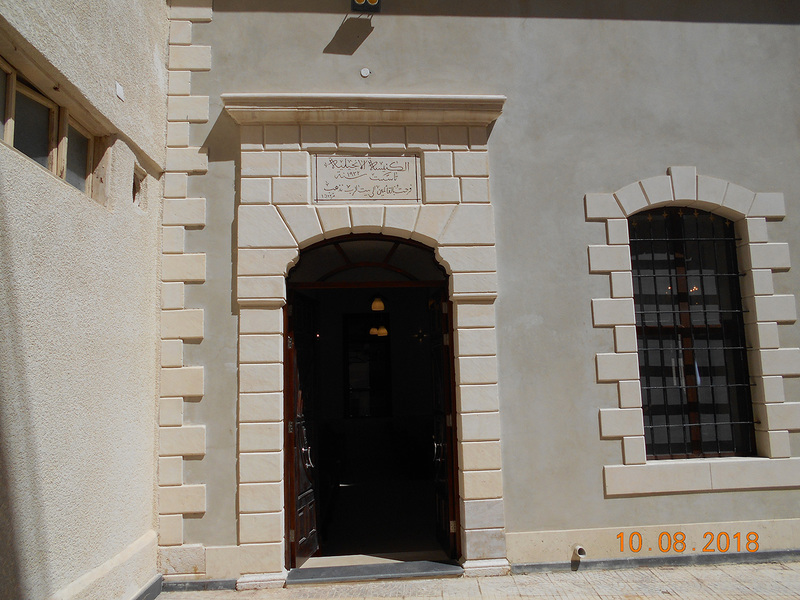 Yousef Jabbour, Rev. 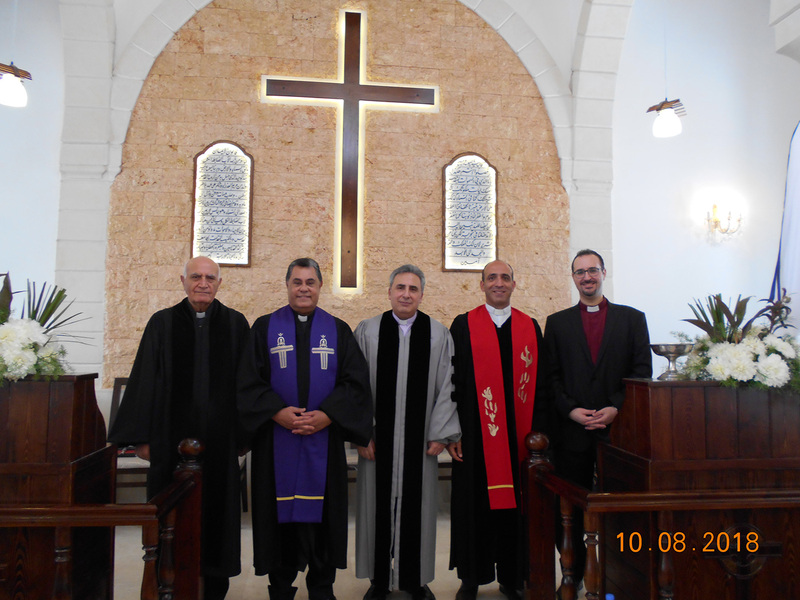 Jacob Sabbagh, and various clergies from traditional churches in the region. 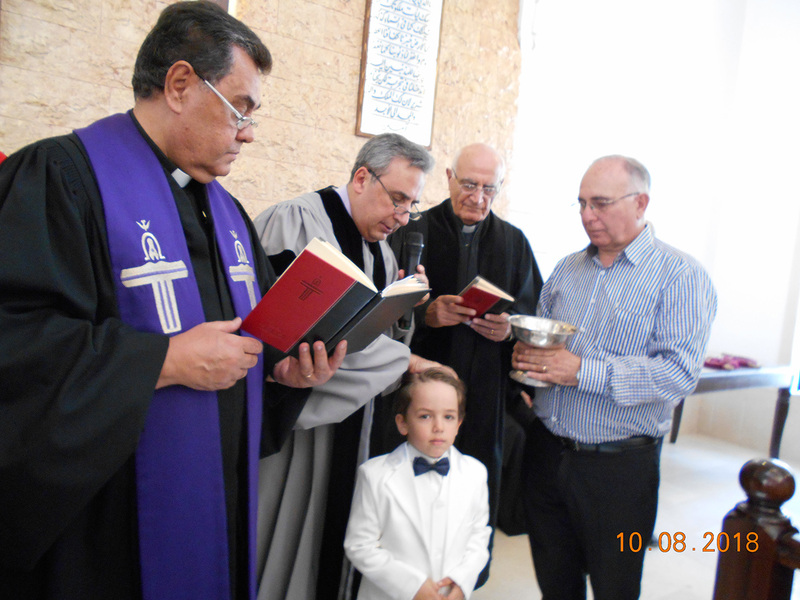 Baptism was administered for Christian Khatouf.